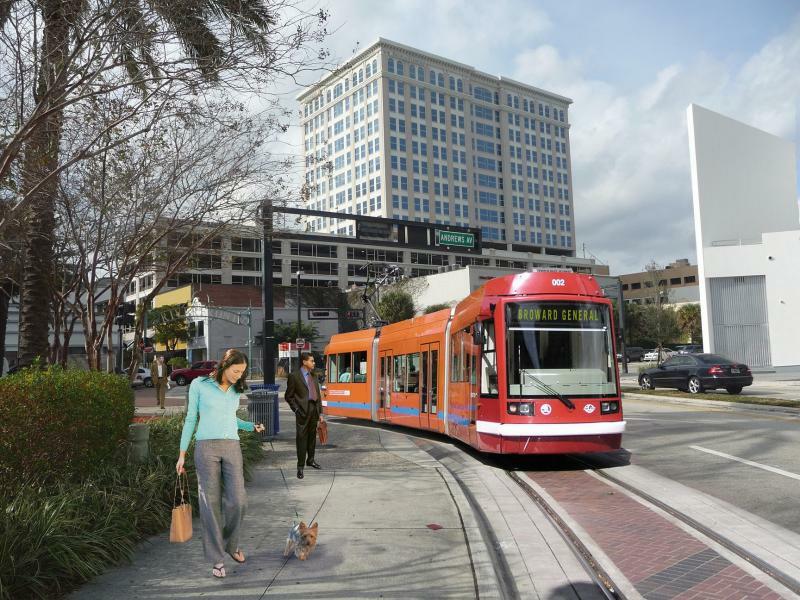 The Wave Modern Streetcar is a 2.7-mile streetcar system that will serve as a local circulator in Downtown Fort Lauderdale. Once people get to Downtown, they will have a viable transportation option that will help them to transport “beyond the car” by using The Wave, to move around quickly and safely. The streetcar is powered by electricity, which when compared to gasoline, significantly reduces emissions and harmful air pollutants. It also provides a quiet ride, unlike the bus that operates on a noisy combustion engine. Additionally, the streetcar glides on steel wheels while the bus uses rubber tires that are not environmentally sound and are difficult to dispose of.